Relish the memory. : A Lavosh affair! Lavosh. A crisp light bread inspired by our friends in the Middle East, designed to be eaten whenever, wherever and with whatever you like. Basically it’s a fancy word for a cracker. A dam good cracker at that! Inspired by the pages of Annabel Langbein I set out to create a few sheets of my own joy. Ingredients were promising. Just the standard cupboard staples. I opted for a combination of sesame seeds, chia seeds and rosemary. A combination the tastebuds were very thankful for. I was surprised at how much this small dough mixture made. But according to Annabel the art lies in rolling the dough out nice and thinly, so you get a light crispy texture. I prepared myself for a frustrating attempt at a thin dough with big gaping holes. I was left pleasantly surprised. In they went and within a few minutes I had crafted my very own version of a lavish, Lavosh. The amount of cracker products on the market these days are outrageous. Almost an entire supermarket aisle are designated to these ‘healthy snacks’. There are so many I often get confused about which ones I like, which will be appropriate for the occasion, can they be dipped or topped or dunked or what they heck to do with them. It was in these little beauties that I found my answer. The perfect nibble for any occasion. I had the chance to test these ‘Lavosh’ out, on a bunch of well-established, mature adults (aka. friends of the parents). Just as I had predicted they went down a treat. A few even requested the recipe. With the assumption that Annabel’s cookbook lines the shelves of most kiwi households. I left them all in her capable hands. Thanks to a simple kitchen craft we achieved yet another favourable outcome. A personalised cracker, crafted to your liking. Easy to produce, but fancy enough to impress. Give it a crack I say. Not sure I'm "well established" or "mature" (especially with lots of vino) but I'm definitely a friend of your parents. 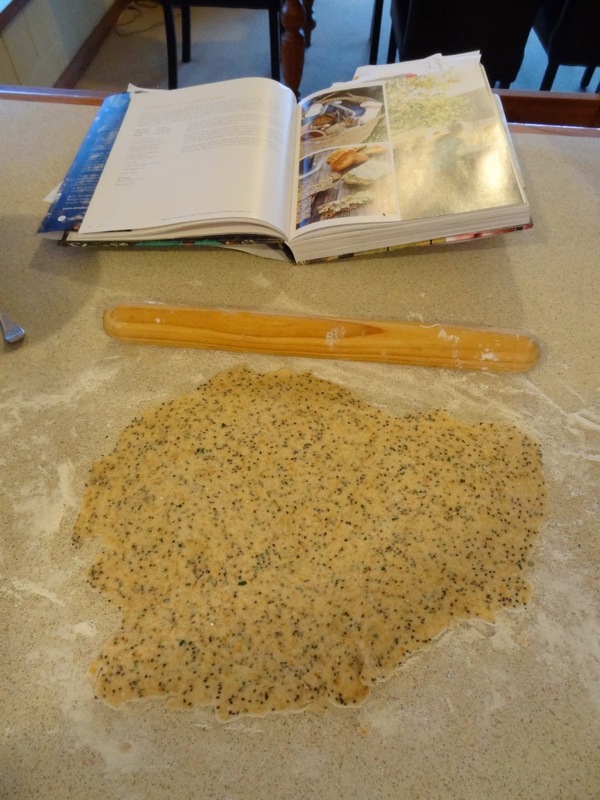 The chia seeds are definitely not a staple in my cupboard so I'm going to try sesame and fennel. LOVE fennel. Thanks for sharing, nice to have a recipe recommended.